A new favorite I love the thought of lip masks. Pampering my skin is my favorite thing to do. The lip balm makes the price worth it because it is extremely moisturizing. This duo will definitely be in my beauty arsenal. Mask is amazing I'm 28 and I have several lip wrinkles due to my chronic dry lips. The mask has softened and plumped my lips after only a couple of uses. It's amazing! I'm already purchasing a backup. I wish the lip balm that comes in the duo was bigger. I have the tube in a full size already and I expected the lip balm in the duo to be that same size. That was a disappointment. Love it! Can't rave enough about this little duo! It's awesome! I've always used chapstick but it never worked for my super dry lips. I swear by this duo, I see results! The duo makes my lips feel soft, full and plump! The mask takes away all the dead skin! Amazing!!! I live in Minnesota, and it's super cold here! My lips are constantly cracking. I found this miracle and heals my cracked lips right up and it makes them feel nice and soft after I use it! 100% recommend this duo! love this! Very impressed after I tried a sample. I was tempted to buy the full sized products, but it was a little too expensive for me. A year later I found myself living in the desert, and I got pregnant. I couldn't find ANYTHING that would help with my extremely chapped lips - except for the Perfect Pout Duo, of course. Deluxe, travel-friendly set of our two bestsellers, LIP 20 Mask & LIP 20 Balm. A must-have lip treatment that instantly exfoliates dry, chapped skin while visibly plumping the lip contour, in just 2 simple steps. Lips will be softer, smoother and fuller - for the perfect pout! 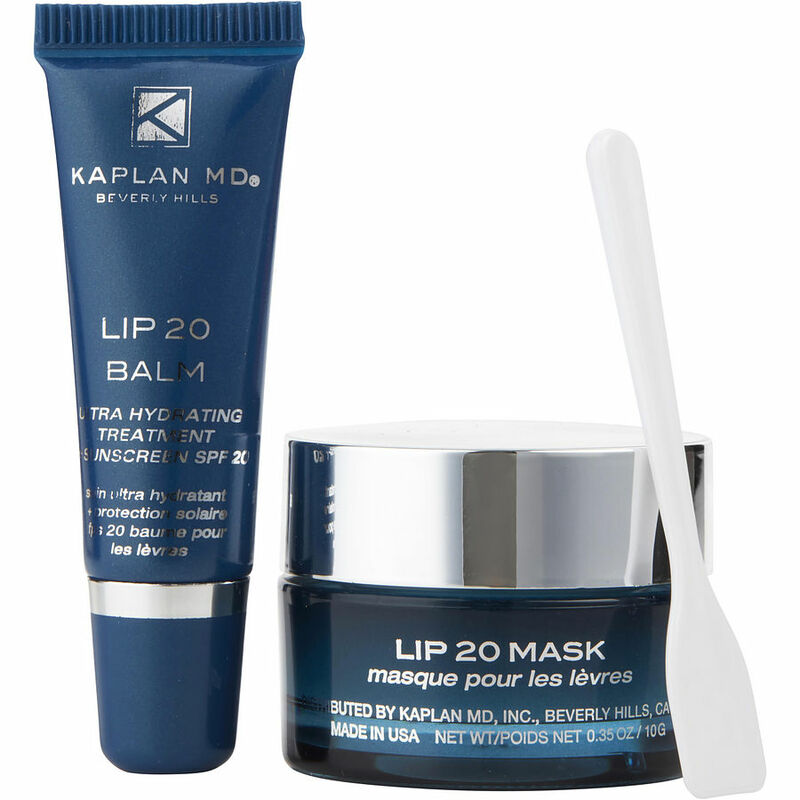 Perfect Pout Duo includes Dr. Kaplan’s famous Lip Mask. It contains Papaya Enzymes, Two Forms of Hyaluronic Acid Acid and Adipofill’in, a patented amino acid that naturally plumps the lip contour. 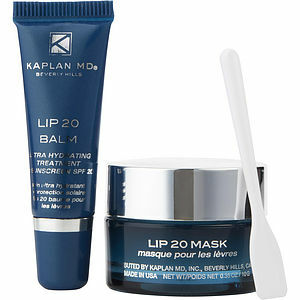 The KAPLAN MD Lip Mask gently exfoliates away dry, chapped skin, while plumping the lip contour. Lips are instantly softer, smoother, and more defined.